I have been out of town but will be back Monday to get going again on the apple watch challenge. 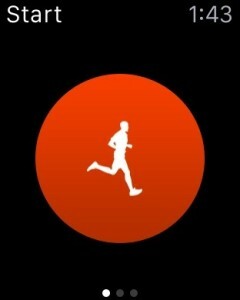 I kind of like the gamification aspect of the activity app but wish that it had a more competitive feel to it. It would be fun to compete against friends and family and earn more rewards. I am sure that apple has privacy concerns as far as comparing health data one person to another but with Jawbone, I was able to compete against my brother. I imagine with further updates to the watch and more widespread use, these updates will come. I understand that fitness is a very personal thing and that we are each only competing with ourselves but I also enjoy the drive that comes from knowing that my friend and family are also working at this. That motivation helps me on days when I don’t want to get out and run. I have set my own personal goals and am working diligently to achieve them. I think the use of awards is a nice reminder to push myself to achieve my goals. 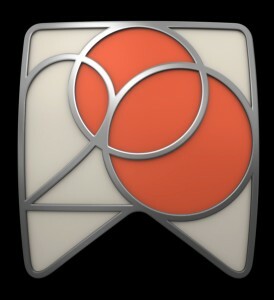 The Achievement section of the activity app on the iPhone keeps track of how many times I have received an award as well as the last date that I earned it. I wish there was more history, but I appreciate the fact that it is tracking at least that much for me and it is a click away to see. 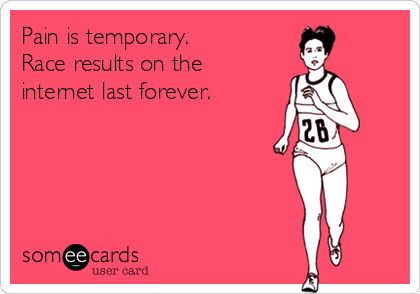 Pain is temporary. 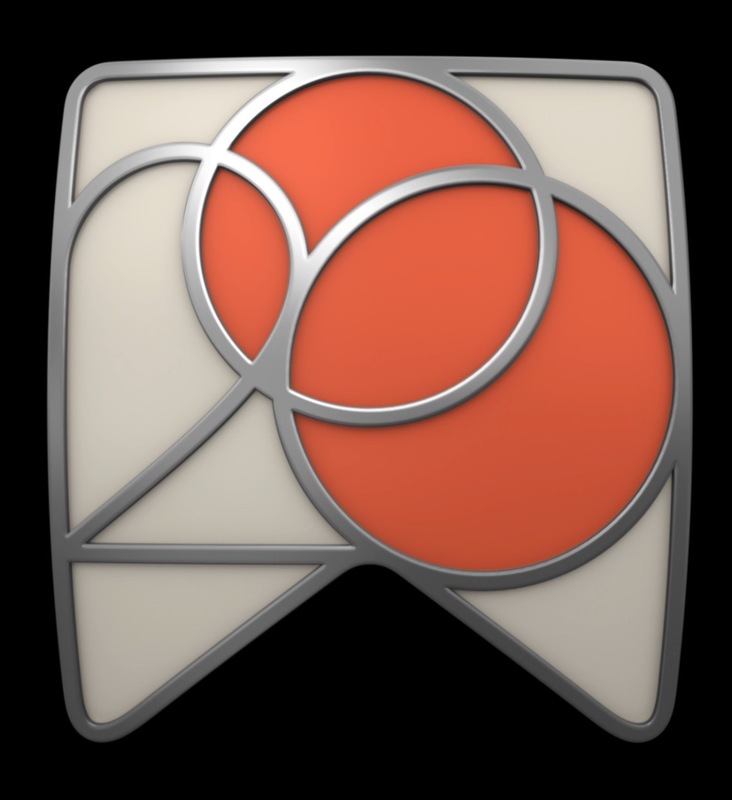 Incomplete rings will always show in the activity app. There is nothing I can do now to fix the circles I have missed, but I can make sure to work harder so that it doesn’t happen again in the future. I am excited to see how my body changes over time while using the watch. I have taken some before pictures and will post them with the after pictures. Here we go Apple. First off, I have still am using the Mickey Mouse watch face. I think its funny that Mickey blinks every 15 seconds. I have been experimenting with using the Astronomy face. 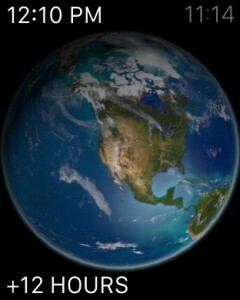 I really enjoy the Astronomy face, I think it is really nice looking and I enjoy the day and night views. I also think it is cool that I can use the digital crown and view where it will be light and dark in the future or past on the Earth face. 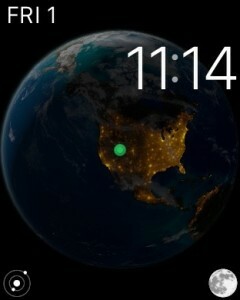 This is what the watch face does as day turns into night. I have advanced it 12 hours ahead to show day again. 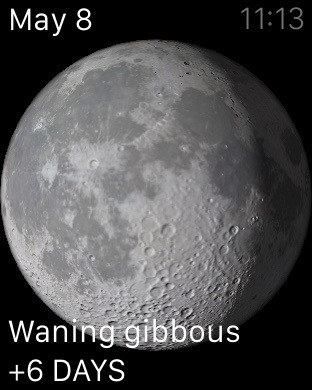 The same digital crown functionality works on the moon face. When I am on the moon face, it shows the different phases and I can see how long till the next full moon etc. 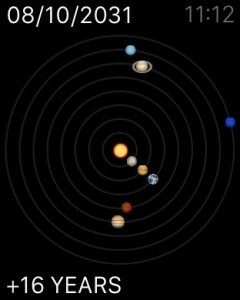 When I am on the planets face, I can go forward or backward to see where the planets were or will be at a specific point in time. I also like the digital time rather than analog. I can’t add any of the complications such as calendar, battery status, weather, activity, etc. so I don’t think that I will be able to use this face on a daily basis since I rely heavily on the calendar complication. I really enjoy seeing my calendar on my watch face rather than using glances or the app. I am hopeful with future updates to apple watch that they will add the ability to put complications on this face so that I could use this watch face. I think it is a very nice looking watch face, with some fun, albeit, not useful, functionality.